There are a lot of activities happening within a specific school year. Both teachers and students are packed with a lot of things to do in just a short period of time. There would be days when both parties have to do different things for different activities at the same time. 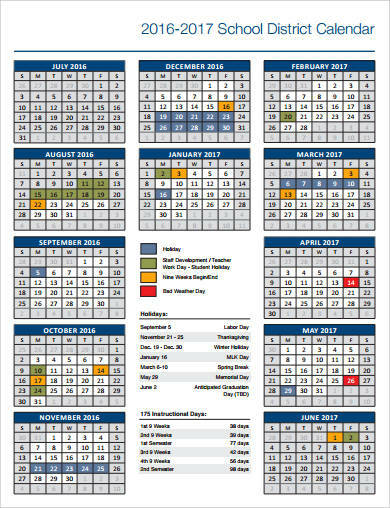 A school calendar is truly helpful in a way that there is already a sense of expectation on what is to happen for the entire year. It does not necessarily need to start in January or the first day of the year. It depends on the school where you go to whether they want to start the school calendar on the first day of classes, the first month of the calendar year, or at the process of new school year applications. You may visit our Sample Calendars for references. 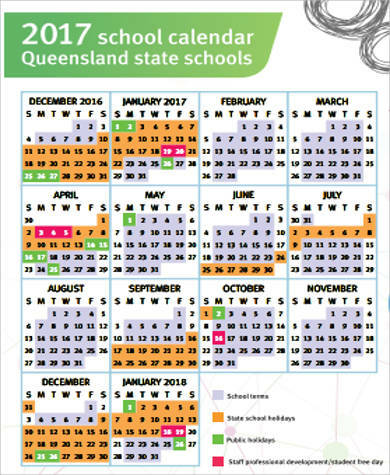 So what exactly is a school calendar? 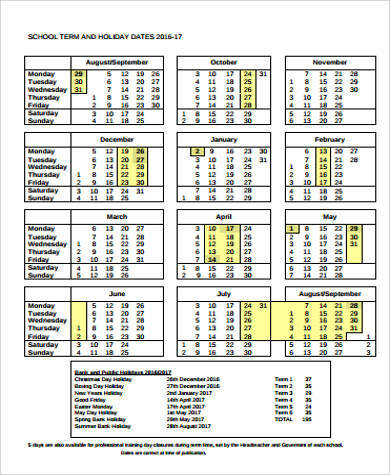 It is a type of calendar used by the school to mark specific dates that are of importance to the academe or are needed to be considered within the calendar year or the school year. Holidays. 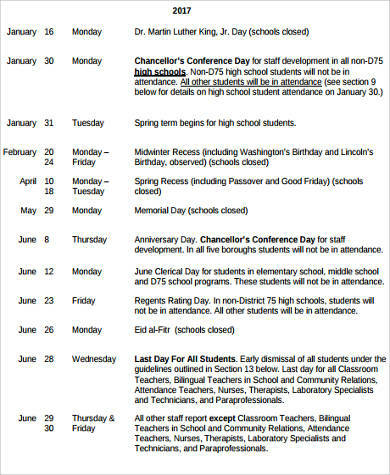 May it be national, local or non-working holidays, school stakeholders need to know when they will occur so that they’ll know the dates when there are no classes. activities of different departments or grade levels. 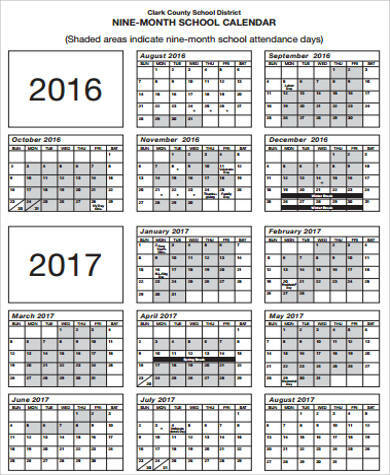 Aside from templates for school calendars, we have Printable 2017 Calendars and Printable Blank Calendars that you may download. 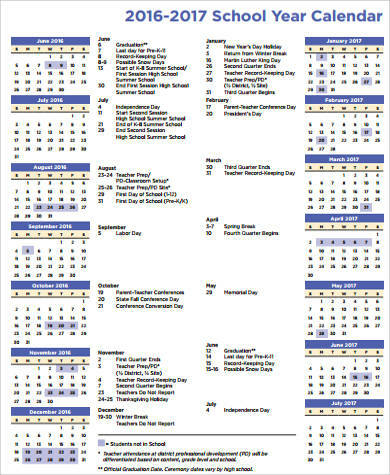 Since school calendars are usually used within a specific school year, the entirety of it should be well planned. 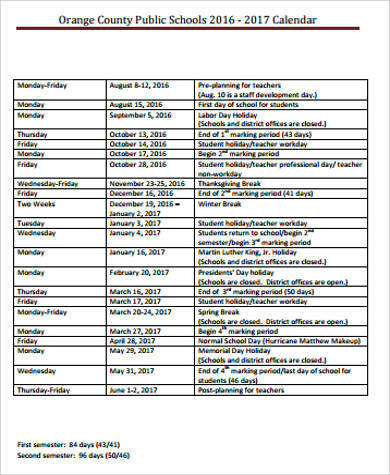 School officials tend to do meetings before a certain school year ends or during long school breaks where there are no school operations to prepare the next shcool calendar. 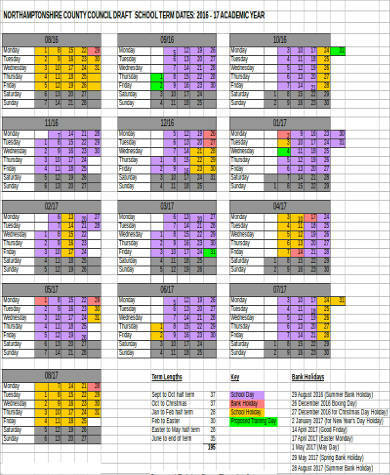 Items like what the past school calendar lack and what can still be improved shall be taken into huge considerations. Items like these will affect the students and the teachers for an entire year, so it must really be planned meticulously. 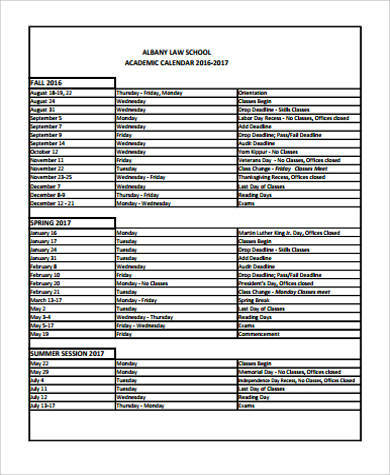 Usually, school calendars can be seen posted on the registrar’s office or any of those bulletin and information boards that are scattered all around the campus. Of course, teachers already have copies of it beforehand. However, for students, it is really important to look at it and be familiar with what it contains. Being able to know what will happen to the school for the entire school year is a huge help as it may give you more time to prepare for events that you want to join at or to create your personal plans. 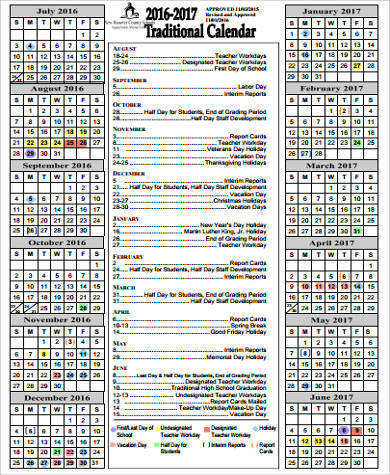 Other than templates and samples of school calendars, we also have Sample Homework Calendars for you.